Tom assigned the class teachers. The Assignment: a Wordmark for your assigned teacher. I was assigned Chris Sullivan. I was thinking about his skills. He’s got lots of skills in programs and design and production etc. like a modern-day renaissance man. I thought about a comparison to Leonardo DaVinci and make a mirror-hand wordmark. I was into Dan Brown and I read his Illuminati book, Angels and Demons where I saw my first ambigram. 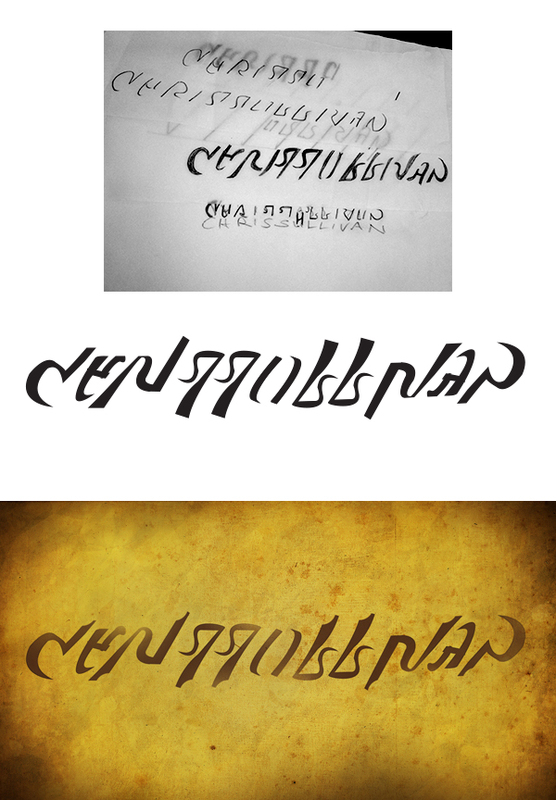 So, just to see, I tried to ambigram-ize his name. Here’s what I came up with for Mr. Sullivan.